While most people think of Hershey in terms of chocolate or amusement parks or even resort hotels, Hershey is also a community filled with people who live and work and go to school. It is a vibrant community whose residents contribute their time and expertise to a variety of social and service organizations. In 1980, opportunities for Hershey’s retired residents were limited. That year several Hershey Foods retirees got together and organized a group of retired men to have breakfast together on Thursday mornings. They christened themselves “T.O.G.” an acronym for “That Other Group,” “Other” standing for “over the hill executives in retirement.” The original organizers included Howard Phillippy, Sam Tancredi and Howard Gabriel. 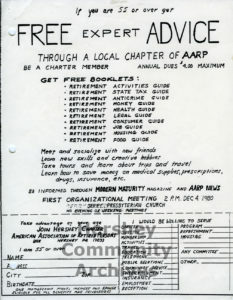 Remarkably, the impetus for “T.O.G.” also led to the establishment of the Hershey Area Chapter of the AARP (American Association of Retired Persons). The group proved to be enormously popular. 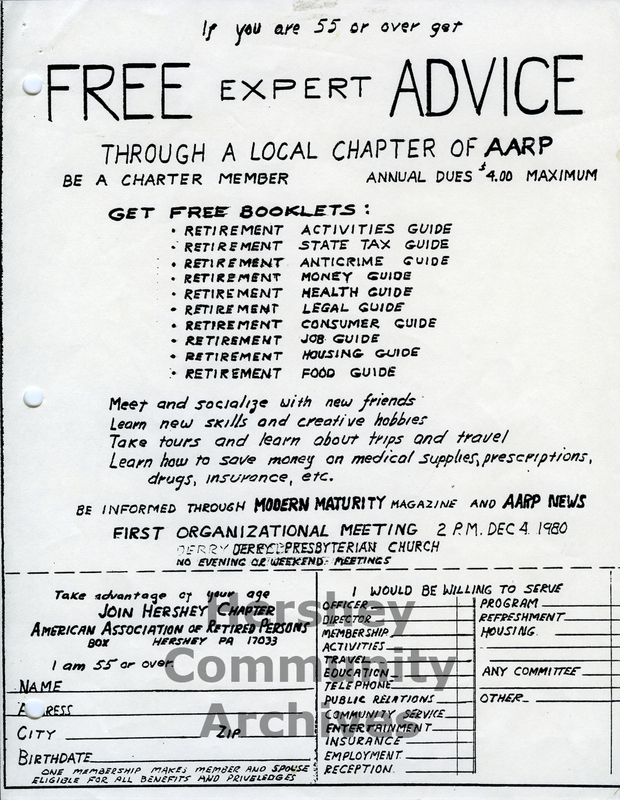 343 people joined as charter members and membership grew every year to a peak of 1254 members in 1987. 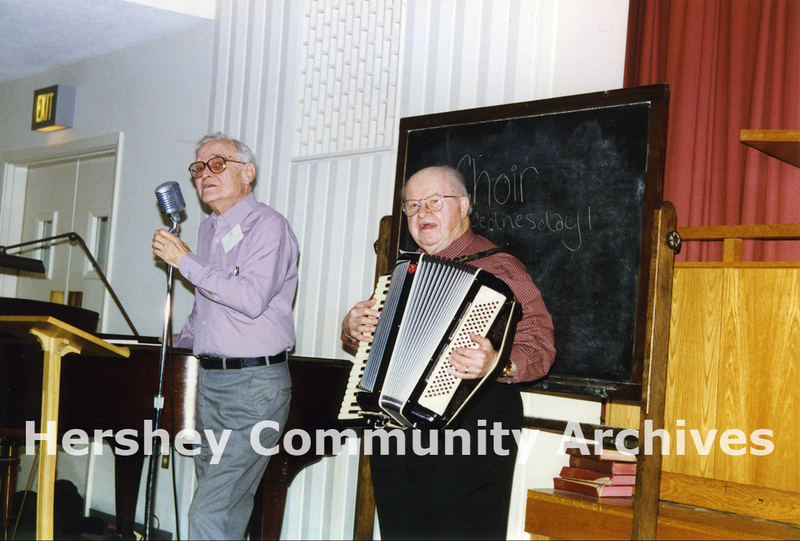 Records in the Archives document A.A.R.P.’s history as a vibrant group that offers its members fellowship, informative presentations, travel opportunities and service projects to community organizations. The collection is an important part of the Archives’ efforts to capture of the history of our community and its non-chocolate life. Hershey Community Archives actively collects the records of local businesses and organizations. Please contact the Archives for more information.